Dozens of people have collapsed at the ongoing presidential rally of the Peoples Democratic Party (PDP) in Kano State. 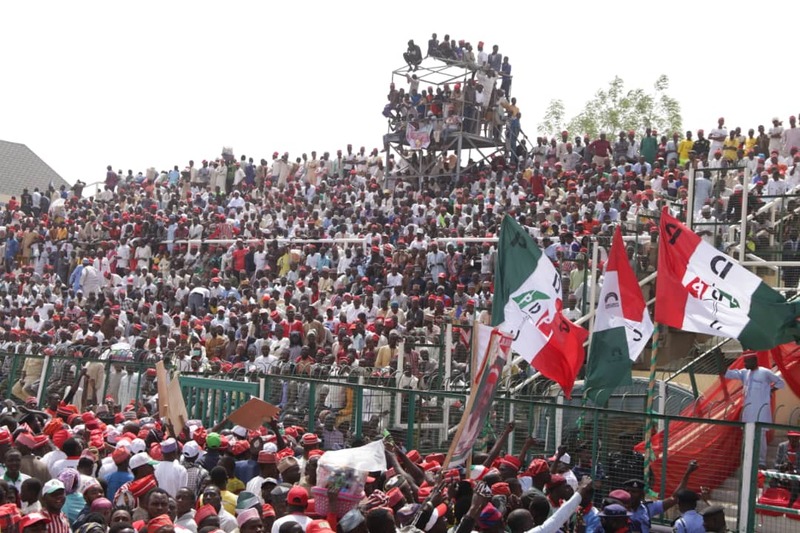 It was a sea of red-capped individuals, as thousands of party faithful converged on the Sani Abacha Stadium in Kano. The stadium is filled beyond capacity, and some persons have fainted as a result of suffocation. At the time of this report, Atiku Abubakar, the PDP presidential candidate and other party leaders, were still on their way to the stadium.